It’s no secret that the internet, has made things easier for business owners and brands everywhere. Unfortunately, it’s also made online counterfeiting easier than ever. In many cases, the online tools that were meant to help business succeed are instead being used by frauds to steal their customers and tarnish the company’s reputation. In fact, the issue of online fraud has become so common that about 93% of brands have experienced online fraud in some way, shape, or fashion. And it is harming brands in more than just their reputation. In 2017, businesses lost around $323 Billion in revenue due to counterfeiting. And according to The Global Brand Counterfeiting Report, 2018, the total amount of counterfeiting across the world reached 1.2 Trillion USD in 2017. With so many fraudulent activities going on, it can be challenging to understand what exactly online counterfeiting is. According to the International Anti-counterfeiting Coalition, counterfeiting is “a federal and state crime, involving the manufacturing or distribution of goods under someone else’s name, and without their permission. Counterfeiting harms more than just the business owner. It negatively affects the economy as well as uninformed customers. Consumers are exposed to several issues including substandard quality of goods, exposure to identity theft, take away money from the state and local communities, and in some cases, support organized crime and child labor. So, how can you stop online frauds from harming your brand and customers? 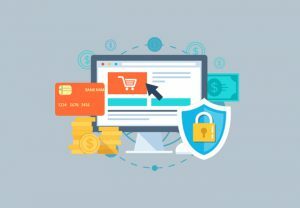 By using the right tools and strategies, business owners can rest easy knowing that their brand’s reputation and relationship with its customers won’t be destroyed at the hands of online frauds. If you aren’t sure how to begin protecting your business from unsolicited sellers, keep reading for some in depth online brand protection strategies. As mentioned above, online counterfeiting is worldwide issue. Luckily, it can be prevented if businesses are proactive in their approaches. Implementing strategies like the ones below will help business’ in their online brand protection efforts. Starting the process of online brand protection should begin with trademarking. Registering a trademark with United States Trademark Patent Office isn’t mandatory, but it does come with some great advantages. By registering your trademark, a notice will be made to the public to make them aware of the registrant’s claim of ownership of the mark, the brand will have legal presumption of ownership nationwide, as well as the exclusive right to use the mark on or in connection with the goods or services. Beyond setting up a trademark for your brand, there are other ways to protect your products online. Using the online brand protection strategies below, will help you better enforce the rules and keep counterfeiters at bay. Beyond the strategies mentioned above, try incorporating these steps for an extra emphasis on protecting your brand online. When it comes to online counterfeiting, it is important to discuss the role that China plays in its success. The majority of large manufacturers are based in China, so it can be easy for counterfeiters to see something they like and just put their name on it. Businesses should take extra precautions when dealing with Chinese counterfeiters. Below, we laid out a few brand protection strategies designed with Chinese counterfeiters in mind. We’ve discussed how to protect your brand online and against Chinese counterfeiters, but what about social media sites like Facebook or specific marketplaces like Amazon and eBay. Fortunately, online marketplaces and eCommerce sites have brand protection programs in place for brands to use. Unfortunately, they aren’t super extensive, so much of the load will still fall on the brand itself. Protecting a brand online should happen in at least two places, E commerce sites and social media platforms. To have an effective protection strategy, business’s need to pay close attention to the activity on both. For social media sites like Facebook and Instagram, there are a few tips that businesses should follow. Counterfeiters use social media ads to drive consumers to their website and trick them into buying fraudulent goods or steal their identity. This is why brands should begin by executing take-downs on the ad and post level. Business owners can stop counterfeiters by reporting fraudulent ads to the platforms using a manual form on the back end of each site. To make sure things are handled quickly, it is important that any fake ads or questionable accounts are reported immediately. If you have the rights, the social media platform will remove the ad and, in most cases, suspend the ad account upon request. Another great tip for brands is to keep an eye out for repeat violators. With so many opportunities to market and steal products with little repercussions, it is safe to say that if they did it before, they will do it again. An easy way to catch the repeat offenders in the act is to search your brand’s name. If you see an unauthorized website that has sold your product without your permission before pop up, be sure to report them immediately. The final tip is promoting your licenses and authorized retailers. 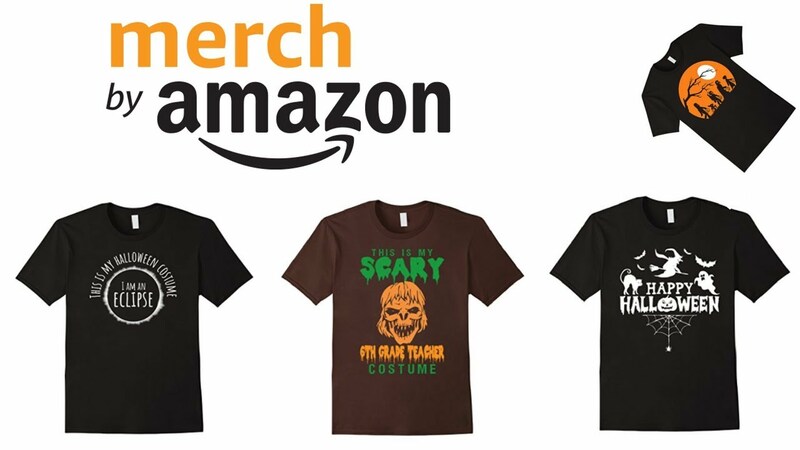 It can be confusing for your fans and customers to know where to buy the official product. Promoting your licensees or your official merchandise shop makes it easier for fans to identify counterfeit products. While these three tips are great for monitoring and protecting your brand against counterfeiters on social media, there is still more that can be done. In addition to all these strategies, having an intuitive brand protection software will only help keep your brand’s reputation under lock and key. With CounterFind, your business’ online reputation will be monitored in real time. Instead of you doing the grunt of the work, our turnkey software works on your behalf to track and report fraudulent ads on Facebook and Instagram and listings on eCommerce sites like Amazon and RedBubble. With the filtering formula, CounterFind shows its users infringing ads or listings and makes it so that they can report it with one click. The user friendly dashboard also keeps users up to date on KPIs like the number of websites shutdown, blacklisted ads, top violating websites, number of Facebook ads reported, and pages monitored, as well as the estimated revenue saved. Protect your brand in an efficient and straightforward software by using CounterFind. See just how many infringing ads or listings your brand has with this free Online Protection Assessment here! Click to view resources that could prove to be beneficial to your brand!